The ‘Pearl of the Adriatic’, situated on the Dalmatian coast, became an important Mediterranean sea power from the 13th century onwards. Although severely damaged by an earthquake in 1667, Dubrovnik managed to preserve its beautiful Gothic, Renaissance, and Baroque churches, monasteries, palaces, and fountains. Damaged again in the 1990s by armed conflict, it is now the focus of a major restoration programme co-ordinated by UNESCO. Dubrovnik is a very nice, historic town on the Adriatic. Almost all of the original walls of the city are still in place and the old city managed to escape too much damage during the break up of Yugoslavia. I arrived in Dubrovnik during a stop on a cruise ship which was just enough to explore the old city on my own time. I was able to walk twice around the walls of the city as well as explore many of the side streets of the old town itself. It is listed as one of the top 100 Wonders of the World by Howard Hillman. Dubrovnik is a city in Croatia located along the Adriatic Sea. It is part of the Dalmatia region and is one of the most popular tourist destinations in Europe, not just in Croatia. The Old City of Dubrovnik is one of the fastest rising destinations for tourists in the country and is one of the cultural UNESCO World Heritage Sites. The city prospered for its maritime trade activity and flourished during the 15th and 16th centuries. It became known for its wealth and skilled diplomacy. It also underwent restoration work in the 1990s and early 2000s. The Old City of Dubrovnik juts out into the Adriatic Sea and features a rugged limestone mountain as its backdrop. It is considered as one of the finest and best preserved medieval cities in Europe. At one point in history, Dubrovnik rivaled Venice for its reputation as a trading port. The entire city is also built with a wall. These huge and sturdy stone walls that were built from the 11th to the 17th centuries provided protection to the entire city-state. To this day, these walls remain standing and have become a huge part of Dubrovnik’s identity, particularly within the historic center. 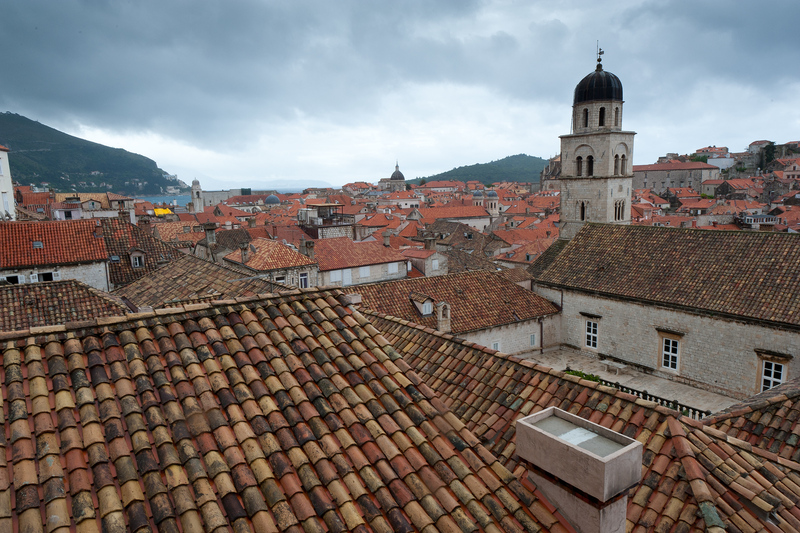 The Old City and historic center of Dubrovnik are remarkably one of the best places to see in the city. Despite being a small area, there are many attractions to see. The small space makes the city easy to explore on foot. The entire historic center is surrounded by medieval ramparts that offer a sense of protection throughout this entire settlement especially during the Medieval times. To enter the historic center of Dubrovnik, you must pass through the Pile City Gate. This serves as the main entrance for the city, which is overlooked by two forts. 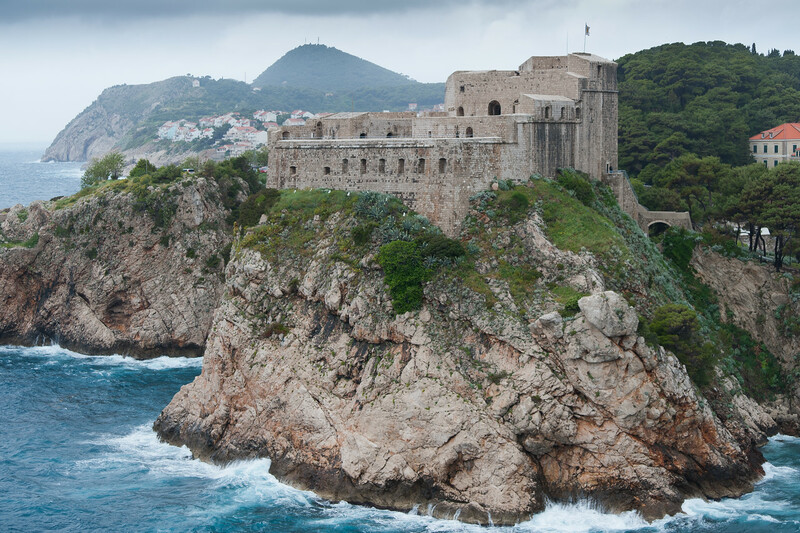 Minceta Fort is one of the most beautiful forts in the world and has become a symbol of the city of Dubrovnik. Meanwhile, Bokar Fort is built to defend the city from any attacks coming from the sea. Today, the fort serves as a venue for performances, particularly during the annual Dubrovnik Summer Festival. Upon entering the city gate, you will be greeted by the beautiful and awe-inspiring Onofrio Fountain. This is the favorite meeting place for the youth in the city. Another one of the most interesting monuments within the Old City of Dubrovnik is the Franciscan Monastery. This monastery features the perfect blend of Gothic and Romanesque architecture. As you continue exploring the historic center for the Old City of Dubrovnik, you will be able to explore the most popular street in Dubrovnik: Stradun. This street is filled with souvenir shops, cafes, bars, coffee shops, and galleries. This street is never quiet and is always bustling with people. There are also several street entertainers that delight the crowd of tourists. When you reach the end of the Stradun Street, you will find a lovely square that is another favorite among tourists. 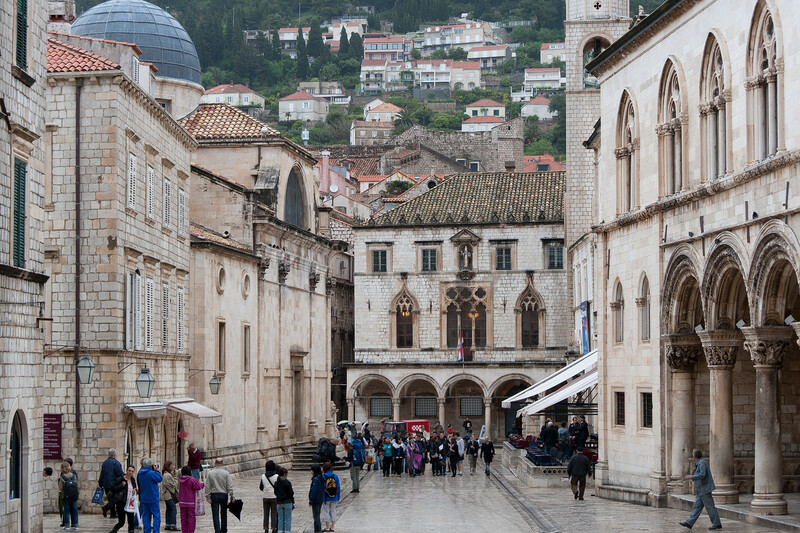 This square is home to many important historical sights within Dubrovnik. One of them is the Sponza Palace, which was built in the 16th century and is used for housing the National Archives today. Another magnificent historical and architectural feature is the Rector’s Palace. This is a Gothic-Renaissance structure that features finely carved capitals and is best known for its ornate staircase. Meanwhile, the St. Savior Church is located right next to the Franciscan Church and Monastery. These two are important remnants from the Renaissance period. 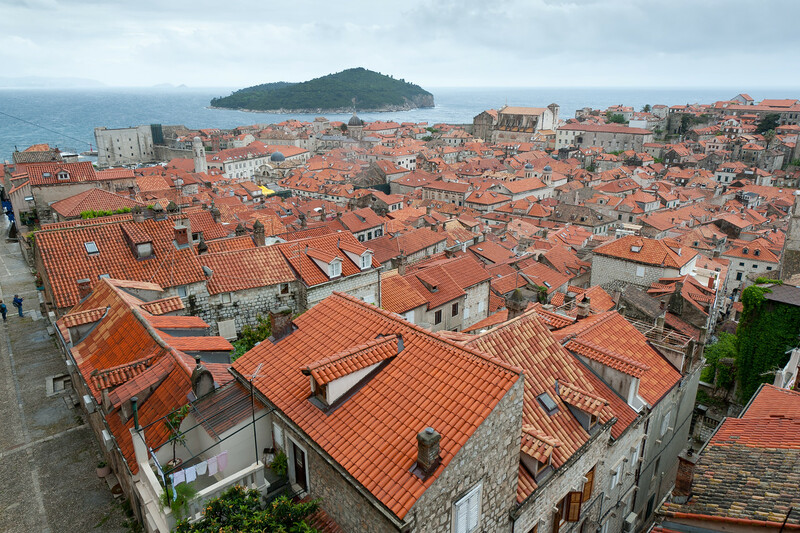 When you are done exploring the main street, you can explore the narrow streets and alleys throughout the city of Dubrovnik. You will find a lot of hidden gems and historic treasures along the way. Aside from the beautiful historic center and the architectural structures preserved within the Old City of Dubrovnik, the walls that surround the entire city is probably one of its most significant features. The walls of Dubrovnik measures 2 kilometers in length that covers around the city. The walls range from 4 meters to 6 meters in height. The walls are thicker on the landward side as compared to the seaward side. These walls are also built with towers and turrets to provide additional protection for the city.